We believe that you deserve the very best in one-off cleaning and that's why we only have the very best cleaners working for our company who, in turn, will be working for yourself. They'll be making sure your property is exceptionally clean in every way by following a checklist and going from room to room and cleaning everything to an exceptionally high standard. We are sure it's what you demand and what we demand from our cleaners. One-off cleaning in Belgravia should be just that. It is a cleaning that's so good and so thorough that it doesn't need to be done again for quite a while. Some people may call it spring cleaning, we call it great cleaning that takes this service to another level. Our one-off cleaning in SW1X has been praised far and wide and used by estate agents, landlords as well as every type of household. Although we give meticulous cleaning with every job we carry out, we also make sure your individual requirements are taken care of it because every property is different with different specifications. If you're looking for SW1W one-off cleaning that ticks all the boxes then you've come to the right place. Our superb staff, trained, vetted and conscientious would be delighted to have the opportunity to clean your own home. It gives them an opportunity to show what they can do and it will show yourself that by choosing One-Off Cleaning you chose very well indeed. For more information immediately you can call us now on 020 3397 3282. Belgravia is regarded as one of the most affluent and highly desirable places in London to live. This central London district gets its name from Viscount Belgrave, a subsidiary title of the Duke of Westminster. Belgravia is a relatively small area which has Knightsbridge to the north, Sloane St to the west, Buckingham Palace Road to the south with Grosvenor Place to the east. Further to the east lies Buckingham Palace and Buckingham Palace Gardens. 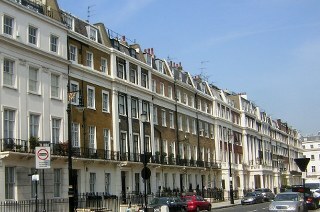 Belgravia has a rich architecture with many Georgian terraces, squares and crescents. It is a home to many embassies as well as having galleries, boutiques and high-end shopping areas. Amongst its most famous addresses are Eaton Square, Upper Belgrave St, Wilton Crescent and Belgrave Square. Sloane Square, Knightsbridge and Victoria tube stations are all within easy reach of the district. Belgravia is covered by the postcodes SW1X and SW1W with nearby postcodes being SW7, SW3, SW1E and SW1V. Nearby areas include Pimlico, Chelsea, Brompton and Victoria. What our one-off cleaning SW1X service gives you is something so much more than just a superficial job. 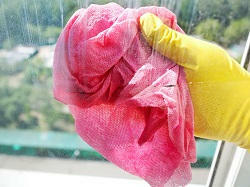 It cleans behind, inside and around as well as the outside of any piece of furniture or kitchen appliance, for example. We approach the job with a commitment to making sure you're truly satisfied. From room to room and within each room itself, the standard of cleaning in Belgravia is exceptionally high. What's more we can do this without you having to spend more money than is necessary. We are known for having great value prices which are given in addition to the high quality spring cleaning SW1W we carry out. You don't even need to be at the property for this cleaning to be done since we are key holders for a number of different clients, domestic and commercial, already. It could be a property you’re moving into or out from, it could simply be your home you want looking at its best. Our service gives you all this and so much more and at the lowest prices. So call One-Off Cleaning now on 020 3397 3282 and let your home become the one you want it to be thanks to our service.